Now is the time to get yourself and your school club, youth group and friends involved in volunteering. Get muddy in a community garden, create cards for local seniors, plant a tree in your neighborhood, stock the pantry at your local food bank and make a difference! Click here to download our Youth Volunteer Waiver form. Fast with Computers? Organizations are often looking for help with their websites and would love your expertise! Consider working at Free Geek and surround yourself with miscellaneous computer parts. Sketchbook Skills? Every organization has fundraisers or events to support the work they do. Your artistic skills would be greatly appreciated in designing invitations or perhaps decorating a space before an event. Also, consider teaching an art class at a Cedar Sinai Park, a senior center, or the community center at Friendly House. Music as Service? Radio stations, like KBOO, love their volunteers. Even if you are just helping in the office, you will get a great behind the scenes experience of how a radio station runs. Better than Babysitting? 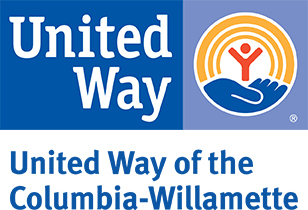 There are many ways to volunteer with kids in Portland metro area, with the chance to interact with kids of all different backgrounds and to make a difference in their lives. Do you remember going to The Children's Museum as a child? Now you can go back and help make other people's experience as memorable as your own. Need School Credit for Volunteering? 1. Keep a list of the hours you've worked. 2. If you're required to complete a form, bring it with you to every project. 3. Ask agencies how to verify your hours. They will be responsible for signing off on hours and creating verification letters, if needed. Interested in Becoming a Volunteer Leader? Want to develop your leadership skills? Build your resume? Get yourself and your friends involved in your community? 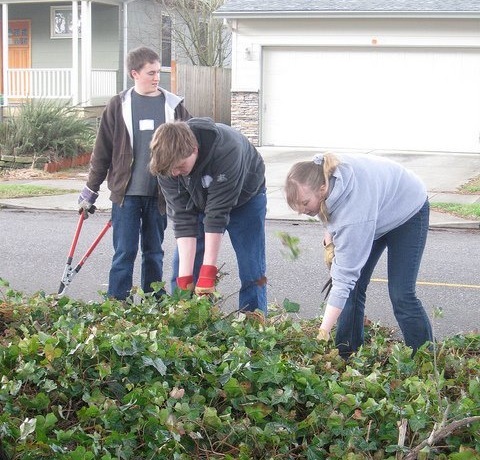 Hands On Greater Portland projects are led by our amazing Volunteer Leaders! They ensure that every volunteer has a positive experience and that agencies and volunteers alike are benefiting from the project. 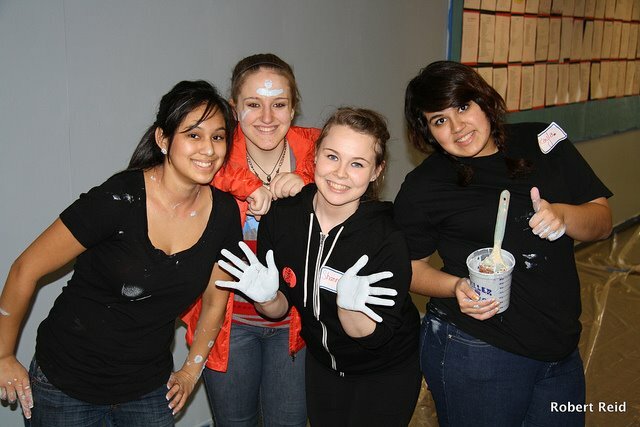 We are always looking for motivated new Volunteer Leaders to lead *Hands On* projects on our big days of service! 1. Conduct a canned food drive. Walk around your neighborhood knocking on doors collecting canned food. Then take the food to your local food bank or food collection site. A few options: Oregon Food Bank or Sunshine Division. 2. Feed the Homeless. Make sandwiches and bag lunches of nutritious food. Then hand out to homeless people you see around town. A guaranteed heart warmer for all! 3. Collect Supplies. Spend a few hours collecting and distributing items needed for homeless shelters. A few organizations in need of supplies include: Goose Hollow Family Shelter, Good Neighbor Center, & Transition Projects. Check their websites to find out what is needed now. 4. Meal Delivery. Helping those in need by bringing them along to drop off meals or food baskets to people who cannot easily leave their homes. Volunteer with Meals on Wheels People or Store to Door. 5. Gardening/Tree Planting. Planting, weeding, and helping maintain school, community and public gardens around the city are great ways to get the family working together outside! Check out Zenger Farm or Portland Parks and Recreation. 6. Kids' Book Drive. Collect books at your school or church to donate to children who do not have access to books. An organization that distributes books to Head Start programs in the area is The Children's Book Bank.